Haiti's Earthquake Was Devastating. The Cholera Epidemic Was Worse. If someone had poisoned New York's water supply and killed 9,000 people, it would have been the most litigated public health disaster of all time. But when it happened in Haiti? Nothing. Not in terms of sheer lives lost -- although the epidemic claimed 9,000 lives and sickened one out of every 15 people in the country. The cholera was worse because it’s a human rights tragedy. While the earthquake originated as a natural disaster, albeit one made worse by generations of international exploitation, the cholera epidemic was a fully human-made phenomenon. It demonstrates that the world’s most powerful nation -- the United States -- and its most respected international organization -- the United Nations -- have no intention of treating the Haitian people as fully human beings, deserving of even the most basic of rights. Cholera is a terrible way to die. The bacterium vibrio cholera gets into water supplies via infected feces. Its victims suffer from diarrhea that experts and victims alike have described as “explosive.” Without quick treatment, a cholera patient can die within hours. Thanks to modern water treatment systems, cholera is all but unknown in most of the world now. In the United States, physicians and public health experts describe it as a 19th century disease. In other words, Haiti’s infrastructure remains very much mired in the 19th century -- and terribly susceptible to 19th-century diseases. It didn’t have to be this way. In 1998, the Haitian government successfully obtained $54 million in loans from the Inter-American Development Bank -- money earmarked to make much-needed improvements to the country’s water system. But the George W. Bush administration, angered by the left-leaning Haitian government then led by President Jean-Bertrand Aristide, blocked the loans. “It is reasonable to draw a straight line from these loans being cut off to the epidemic that emerged,” says Dr. Evan Lyon of the Haiti-based Partners in Health. On the Meille tributary to the Artibonite River in central Haiti, a camp housing UN soldiers sits a few hundred meters upstream from the homes of the first cholera victims. Even before the outbreak, local residents had been complaining about the UN dumping sewage into the river. Reporters visiting the camp in the days after the cholera saw an overflowing sewage tank -- and a dark and foul-smelling liquid pouring from a pipe into the river. The area was enveloped by a pervasive stench. What if an organization, private or public, had introduced a toxin into the waterways of New York City, killing 9,000 people? It would have been the most decried and litigated public health case of all time. Apologies would pile on top of one another. Responsible parties would be summarily fired. Indictments would be handed down. Billions of dollars in reparations would be paid out. For Haitians, this was a familiar response. Their country has long been considered an ideal target for charity -- there are so many disconnected non-profit efforts scattered throughout the country that Haitians wryly refer to themselves as a “nation of NGOs.” Yet charity’s inadequacy as a stand-in for justice is well-demonstrated in the wake of the cholera outbreak: To date, the plan announced with great fanfare by UN Secretary-General Ban Ki-moon in 2012 has attracted less than a fifth of the necessary funding. The Haitian cholera victims have now taken their claims against the UN to federal court in the United States. Their quest is backed by thousands of international human rights activists, the Congressional Black Caucus, and even former UN officials. I signed a brief in support myself, on behalf of my law school clinic. Unfortunately, adding insult to the injury the U.S. inflicted in blocking Haiti’s water system loans, the Obama administration has stepped into the lawsuit to defend the UN. The U.S. government has argued that the UN enjoys absolute immunity from any responsibility for the devastation caused by its reckless sanitation practices. A U.S. district court judge agreed, ordering the case dismissed. An appeal has been filed, and the Second Circuit U.S. Court of Appeals is reviewing the case now. 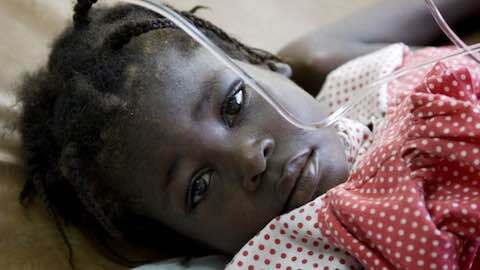 Latin America: "Haiti's Cholera Epidemic"